Contact: Lightning Strykes, #3 Robin Hill Drive, Hamilton, IL 62341. This program is produced at the WTJR Studio. In the midst of life’s darkest skies, there is a light that illuminates the night. It is the light that Lightning Strykes hopes to reflect. This light is the powerful Savior Jesus the Christ. The Apostle John writes that in the Son of God is life and the light of men. This light shines in the darkness. Jesus said, “I am the light…whoever follows me will NEVER walk in darkness but will have the Light of Life.” (John 8: 12) Why then are so many walking in this world in blind fear? Why are so many lacking direction as if playing dodge ball with the evil one? This is a call to every Christian by Jesus (John 9: 4-5) “As long as it is day, Christians must do the work the work of the Father who sent His Son. Night is coming when no one can work. While I (Jesus) am in the world, I (Jesus) am the light of the world.” There are storm clouds gathering in our world as these words are spoken. Christians have been called to reflect Christ’s light into a world besieged with trouble. Lightning Strykes is a plea to Christians to fulfill this purpose. The purpose of Lightning Strykes is two-fold. It is a response to direction given after much prayer. Churches all over the country are struggling from the inside out. Many are depending upon direction from those who have power which belongs to the head of the church, Jesus Christ. Too many are wearing their personal feelings on the outside giving those in search of the Savior no place to discover Him. Lightning Strykes is staffed by those who are willing to clean up the reflection of the true light of Christ. Lightning Strykes is prepared to reach in and walk into a body of believers and offer painless arbitration. It is our belief we CAN wipe away personal feelings that hold new believers at bay. The second purpose is to reach out to NEW seekers of the Savior with the means for acceptance of Jesus personally. It is the preparation of the promised return of Jesus Christ as his or her personal Savior. It is our belief that this is a called ministry by the Spirit. Your help is encouraged to keep this ministry fueled. We have just begun with total dependence upon God for everything done! 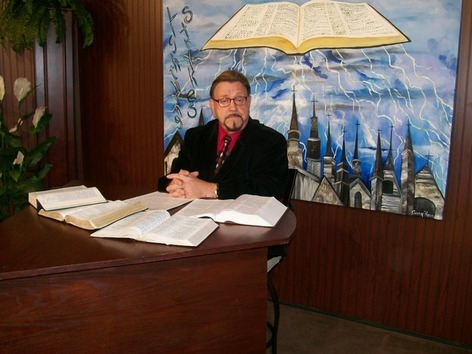 Lightning Strykes 30-minute weekly television program with Pastor Paul Smith is available on WTJR Television, Quincy, Illinois. If you are outside the viewing area or unable to view at the times the program airs, you can watch the program streamed on the WTJR website at the aired times or go to their ‘Video on demand’ at any time after the program has been on the air. To watch at airtimes do this: Go to www.wtjr.org ; Click “Watch Online” in left side column; Click on the Big Arrow; then Click “Allow” in dialog box … this is for viewing during original broadcast! To watch anytime after the broadcast: Go to www.wtjr.org ; Click “Video on demand” in left side column; from list choose Lightning Strykes for the date desired.